After picking up a PS4 at the end of March, I’ve managed to play a few games. The verdict is positive so far. 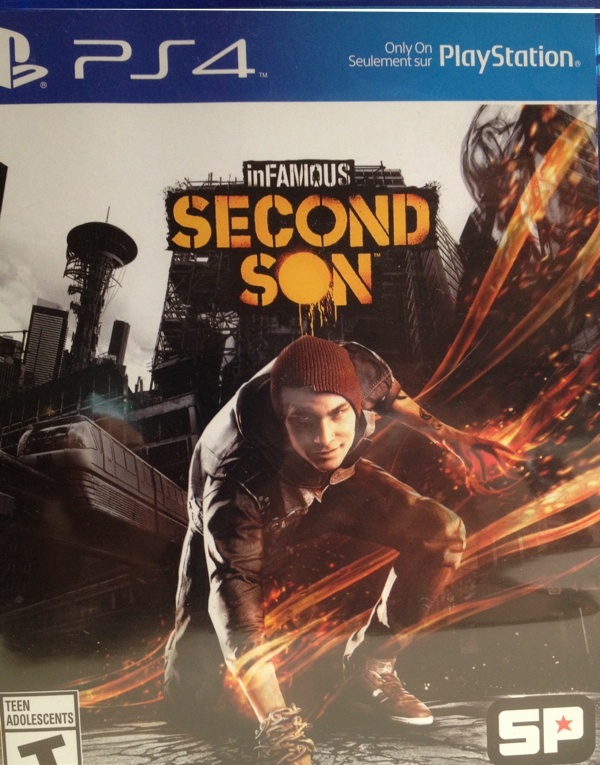 Just finished Infamous Second Son yesterday, and for the most part, I thought it was great. Beautiful, detailed graphics of the City of Seattle, a variety of powers to explore and an evolving story all bring the game to life. It’s fun wandering around the city meeting folks with superpowers just like you, or breaking up drug deals and acting like a rebel, confronting the authorities. My least loved parts were the ‘boss fights’. That type of fight is supposed to be tough, but it just doesn’t make sense that when a boss finally goes down, he/she returns again more powerful than before. In fact, after the first return, the fun disappears and the irritation sets in really fast. At least for me. Another positive for the game is that you can play it through twice, once as a good guy and again as a bad guy. I haven’t done the bad guy yet, but I’ve heard it’s different. After the credits, the game takes you back to the city and offers you the chance to finish collecting things you missed in the first pass. Nice. There is also an add-on after the credits that contributes still more to the game, so overall, it works out to a lot of bang for the buck once you’ve bought it. That’s rare for anything these days. Other PS4 games I’ve tried include Knack and Killzone. Oddly enough, the game Knack was also quite good. There was a nice little story, great graphics and some imaginative action. The bosses were beatable with the skills you’re given, but I must admit, it got a little repetitious after about half way through. The saving grace from that point was that the story seemed to carry it through. It is a game for a much younger demographic, but I quite enjoyed it. I tried the game Killzone as well, but it got really boring, really fast. It was just constant, fast action battles, with little story in between. Not great as far as I’m concerned. But that’s just me, it got rave reviews online. So, I have to give the Playstation high marks so far. It was easy to set up, there is a logical interface and the opening set of games has been pretty good. Hopefully there will be more games for both the PS4 and Xbox One available soon.